Interrupting my hiatus of laziness for this important message. This sloth is a dead ringer for me. Just needs a beer with those veggies. My boyfriend, Mike, is a fairly picky eater. Since going full-time veggie, he stopped wanting to eat the meals I make, which made me sad because I love to share my cooking. He’s also sad that I no longer make him beef stew or turkey chili (though I did teach him how to make his own turkey chili, so there’s that). He’s a guy who honestly doesn’t see the point in eating something without meat and/or cheese. One thing we do share is a love of salad. Sometimes we hit up a salad bar together at Ballard Market in his hood or Metropolitan Market in my hood. Since I’ve been overloaded on CSA goods, we just hit up the salad bar for toppings I don’t have (cheese and ham in his case) and mix them in with my copious quantities of greens. Anyway. Outside salad, we have little in common anymore when it comes to food. Gorgeous and incredibly daunting all at once. I have been busy in the kitchen, now more than ever. 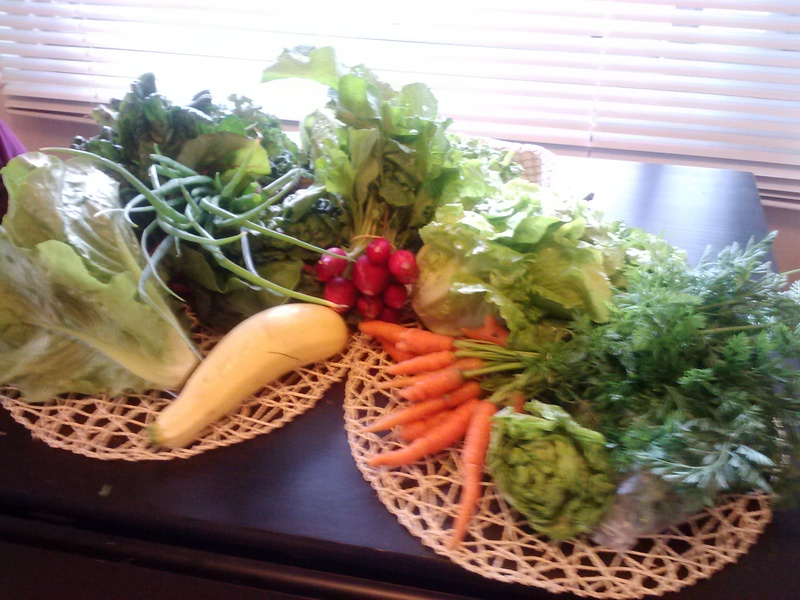 And it’s because of my CSA. I’ve never had a CSA subscription before. Too expensive for my miniscule salary, all that. But now that I make a lil’ more money this year, I decided to subscribe to the cheapest farm subscription I could find in Seattle. A half-share. Because, you know, I’m a single person who can’t consume a whole share.